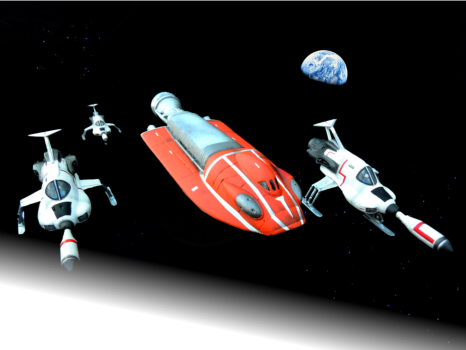 The SkyDiver and Lunar Module option The option to use two other iconic elements of the TV series arose when the chance to write an article for Miniature Wargames magazine materialised in 2012. The new rules have been added to the old rules in such a way that the choice to use them (or not) is up to the player: just download the rules and discard the SkyDiver and Lunar Module options if you chose not to use them. The latest version adds two new features to the game with very little extra complexity. An alternate mission now involves protecting a Lunar Module. This starts out returning from the moon and is effectively being chased by the UFOs and desperately wants to get back to earth orbit. In this scenario the UFO's primary objective is now destruction of the Lunar Module with everything else being extra gravy! The players' job is to protect the Lunar Module and destroy UFOs before they make it to earth orbit. But - if the pesky aliens do make it past the Interceptors, there's always Skydiver! 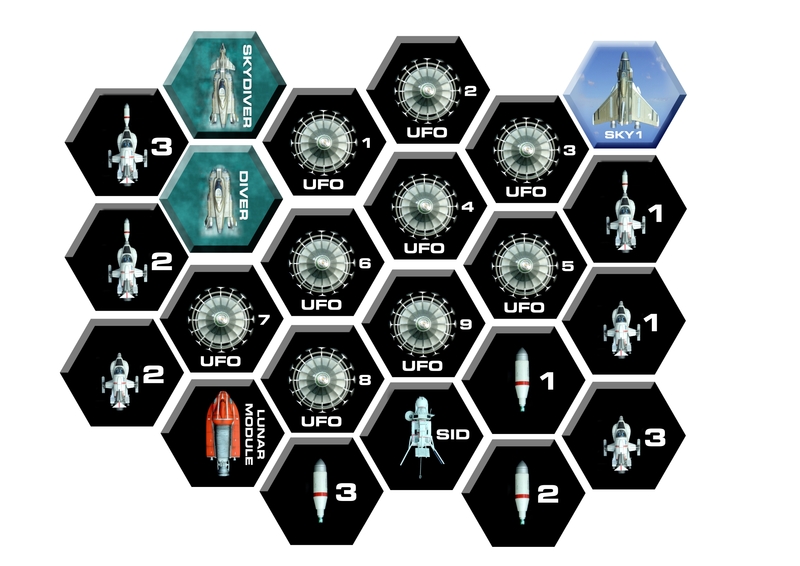 This new game element is represented by a 'zoned' layer of defence: Skydiver can launch its Sky1 and try to take out UFOs as they exit the end of the space hex cloth. Download the new cards and tokens to play this from the menu above.